There are 2551 posts in this topic. You are on page 33 of 52. Any update on next code release? 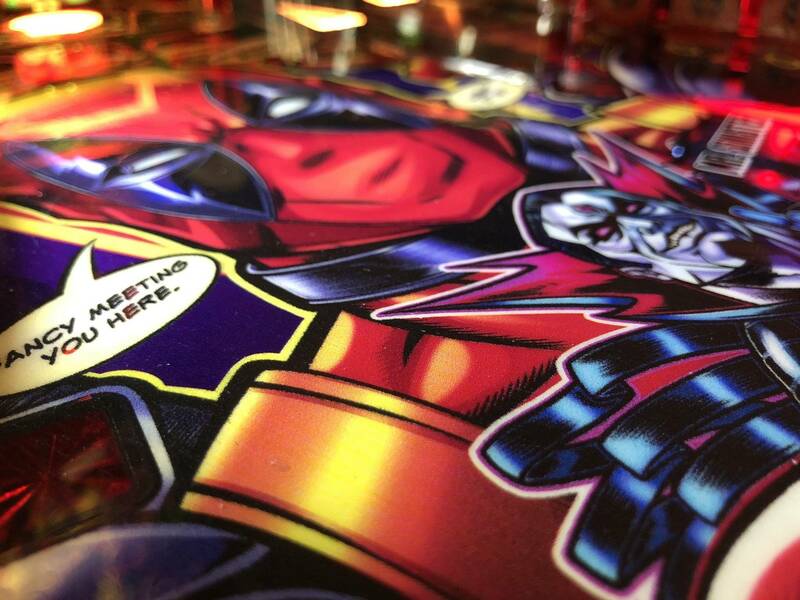 Last update added some really fun enhancements (Mechsuit multiball &amp; Berserker). Still really digging the game. Added a few code bugs as well. hope its soon. I emailed them last week and received a response of "later this month." So, it's coming. Game has really improved....makes you wonder if earlier ratings should be ignored...I like the game alot. 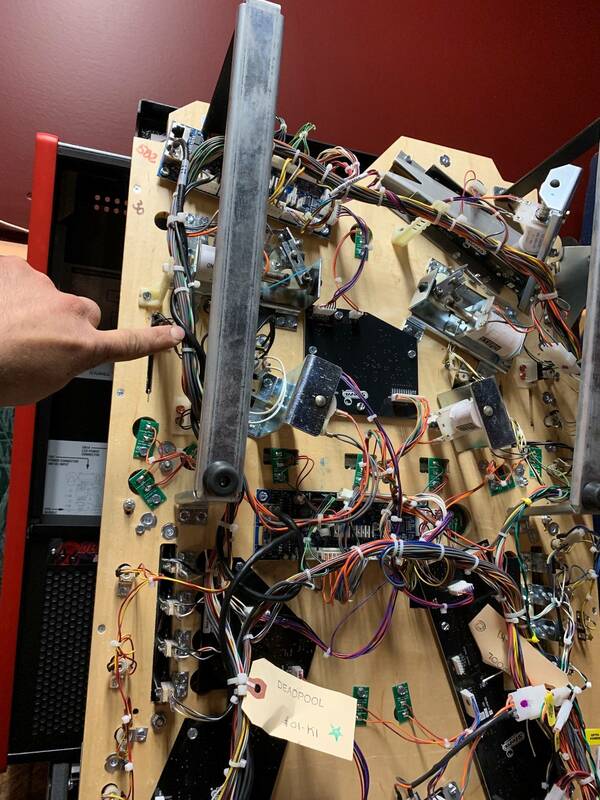 Software has improved, but the playfield has that trademark Gomez clunk. Can't get over that without physical changes, which aren't happening. I honestly can’t disagree more that this game is clunky. Really don’t get that criticism. The pro is pretty clunky. The premium benefits greatly from the awesome left orbit shot. 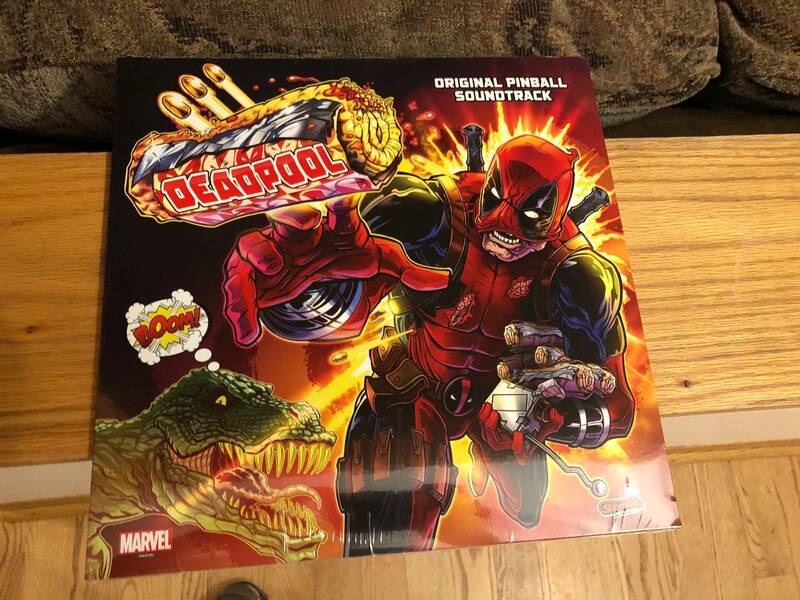 That said, I Was super stoked to buy your DP insert mods (which look great), but now I just can’t be bothered to support someone who continuously knocks a game while still trying to capitalize a profit off it. Pro seems clunky to me only because i get a lot of bounce out on the scoop. Any direct shot bounces right out. Really annoying. Still a sweet game! Oookay. Your loss, they ARE a fantastic improvement. 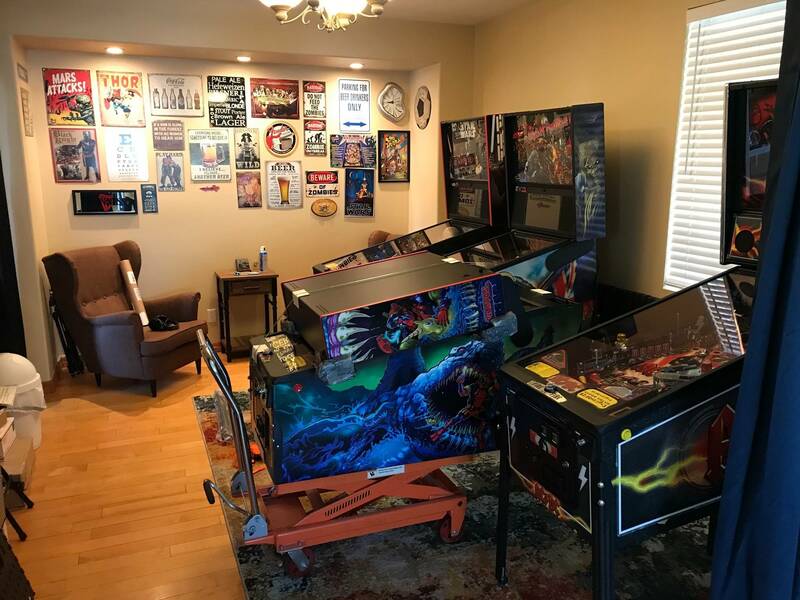 It's not like I'm magically not going to have opinions about pinball. 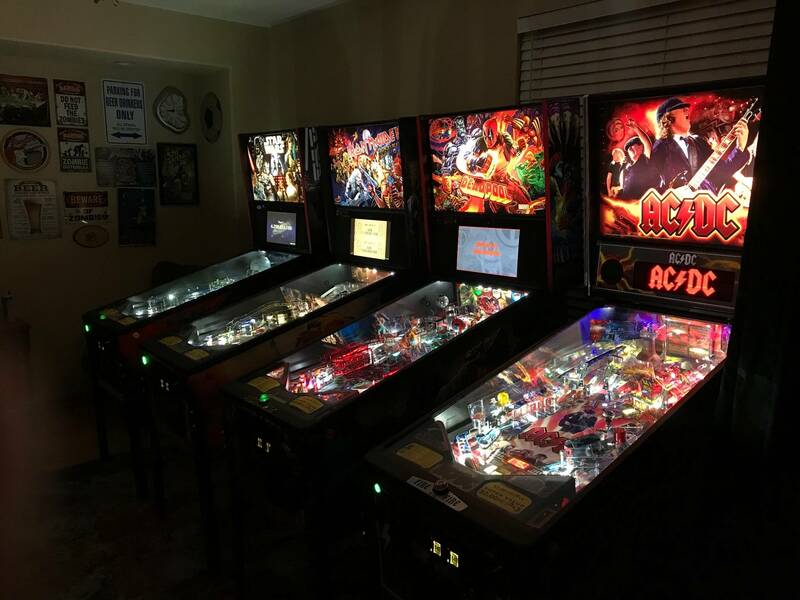 I have criticisms of pins I own, have owned or ones on the route I help with. Just because I own them or maintain them doesn't mean I'm blind to the flaws. That said, I'll try to keep track of whether I'm in a club thread or not. Sometimes when I follow a notification, I answer posts without realizing what thread I'm in. 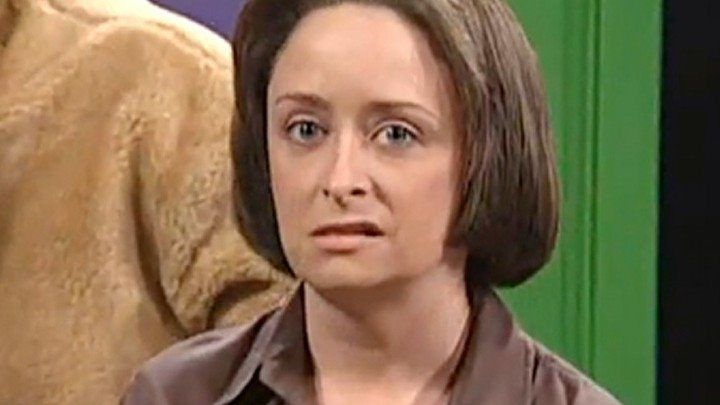 No club likes a Debbie Downer. I haven't tried it, but that's likely fixable by adding a washer to the back side underneath. Similar to the Williams Indy saucer fix. Hey I have a question hopefully someone here can answer. Getting all 4 of the top lanes increases your multiplier correct? 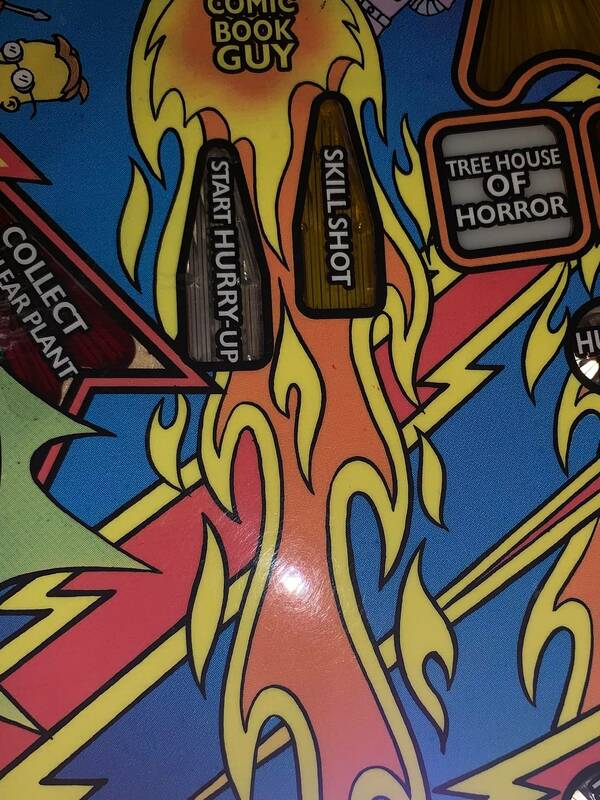 Does that correspond to the 2x to 5x multiplier on the playfield between the flippers? I can never seem to lite those but always seem to have multipliers on the ball over summary screen. 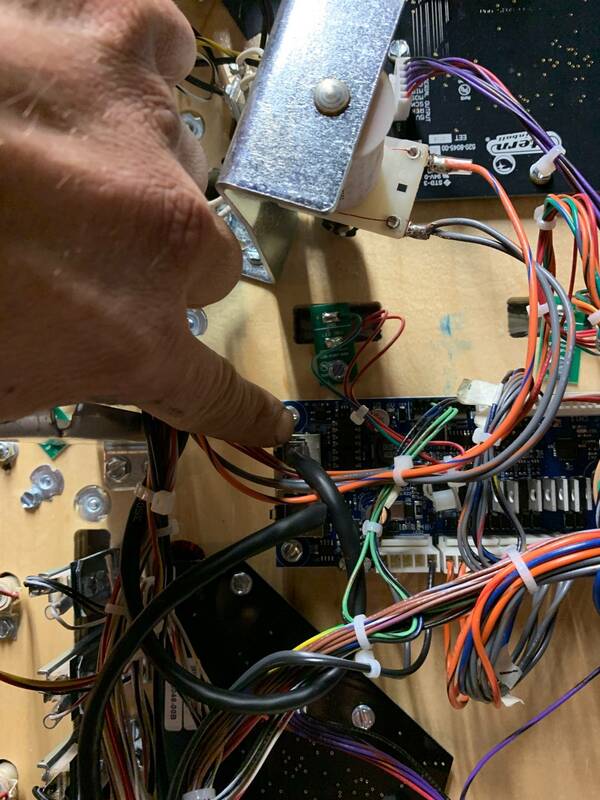 2x to 5x by the flippers is the playfield multiplier. To start those you have to hit the bank shot off the Snikt target up the lock ramp. That starts 2x. To start the next one, hit that shot again before 2x Times out. Here's what almost $600 looks like the first 2 weeks on location. Game should be paid off in 4 months! Best earner by far! Thanks. So there are basically 2 different multipliers going on? I think that is what I was missing. What a fun game! Well, two different multipliers, but applied at different times. 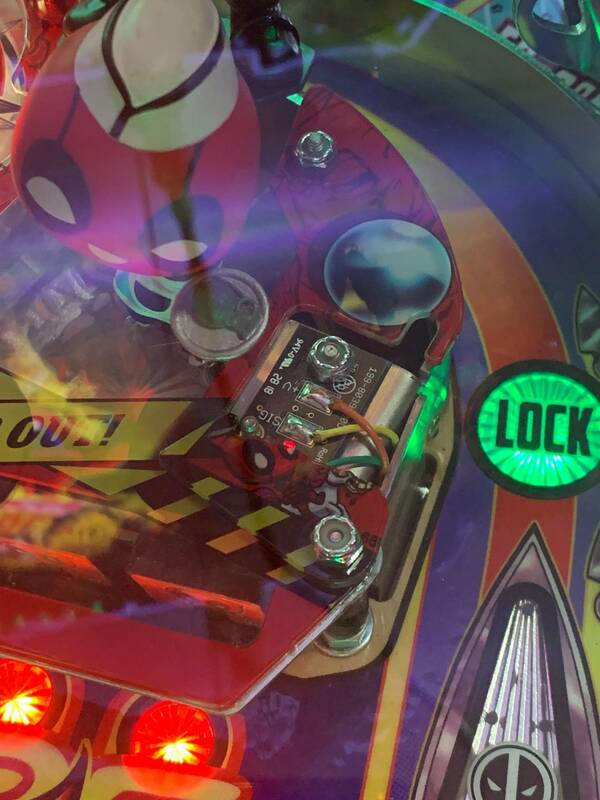 The Snikt target to the lock ramp starts a 2X playfield multiplier, as shown on the playfield between the two flippers. Hitting it again before 2X goes out, awards 3X and so on. Any shots made during gameplay while those multipliers are lit are multiplied by that multiplier. Once they're unlit it goes back to normal 1X. Hopefully you finish that battle and hit the scoop with a playfield multiplier lit! The other multiplier is made by completing the BAM! rollovers at the top. That is awarded and applied as an end of ball bonus after you drain. 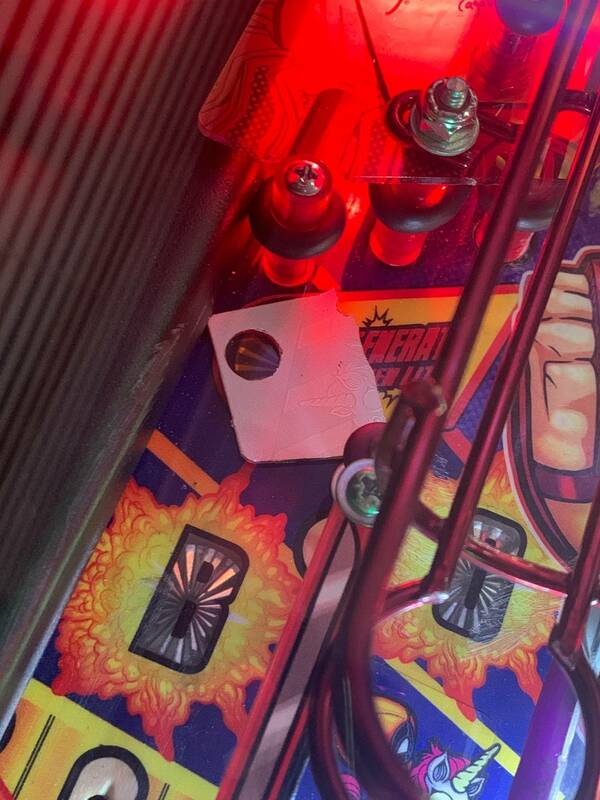 There's no indication of your progress to your end of ball bonus on the playfield (or screen) that I'm aware of. Maybe if you trap up and wait for the status screen, you might see it there. That particular multiplier is applied to the chimichangas, weapons, etc., you've collected so far in the game. 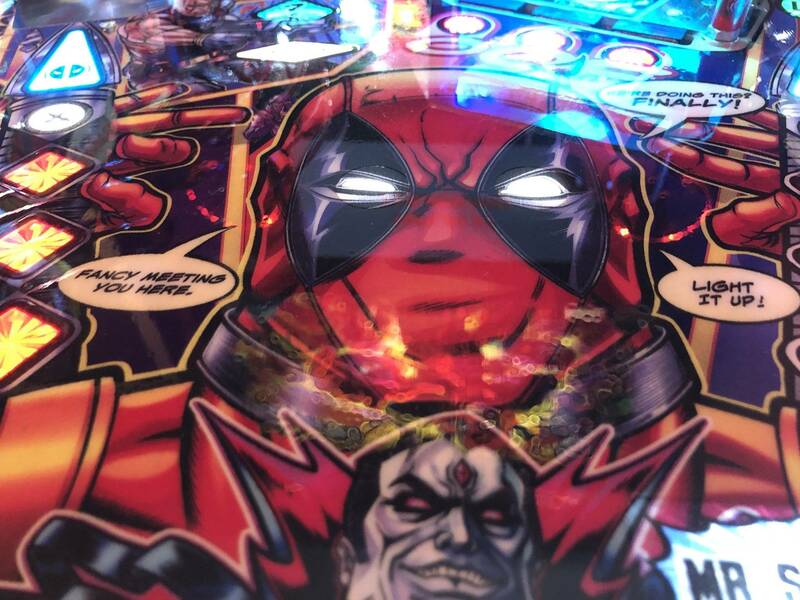 I know it’s perhaps “adolescent humor” says the adult here but one of my favorite call outs in the game is when Lil Deadpool starts multiball and says “Now you have both your balls.” Puts a smile on my face every time. I like the Tarzan Jackpot call out. 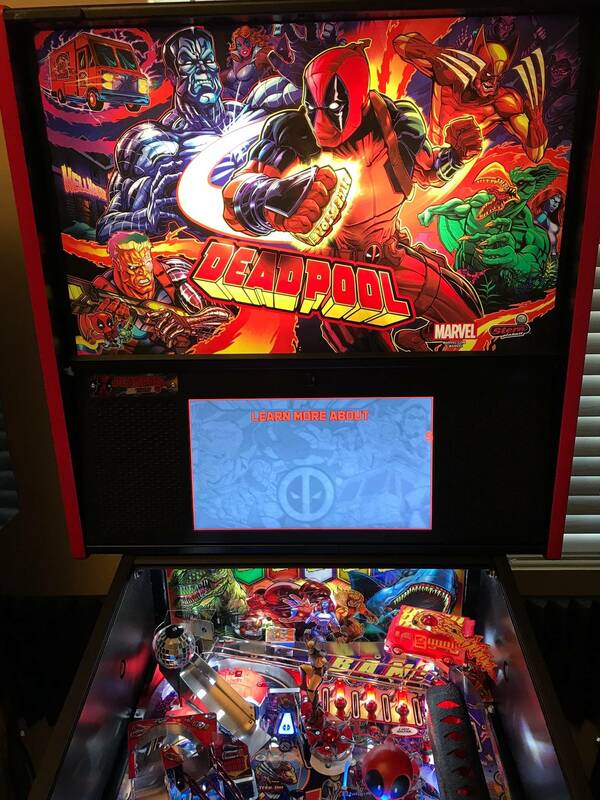 Deadpool pro is only seen as quite clunky to those who are mediocre pinball players. 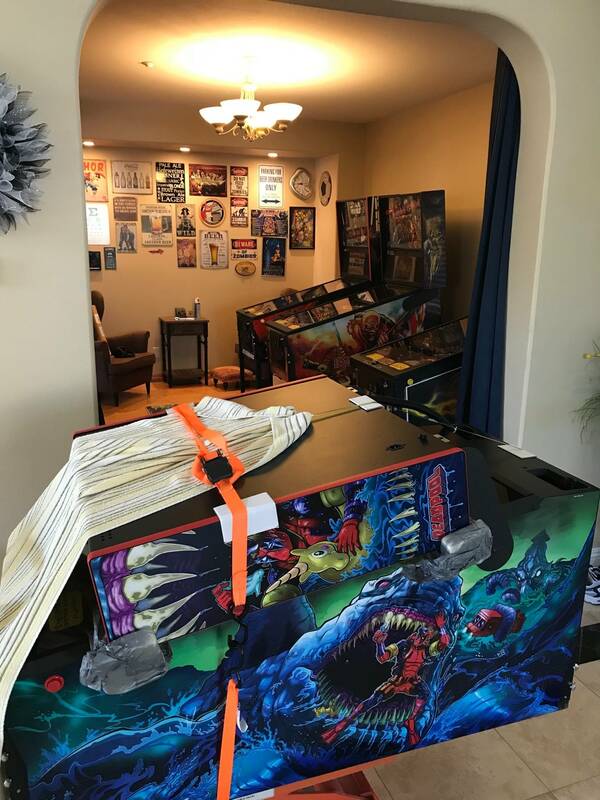 Pinball is like life... It requires skill. 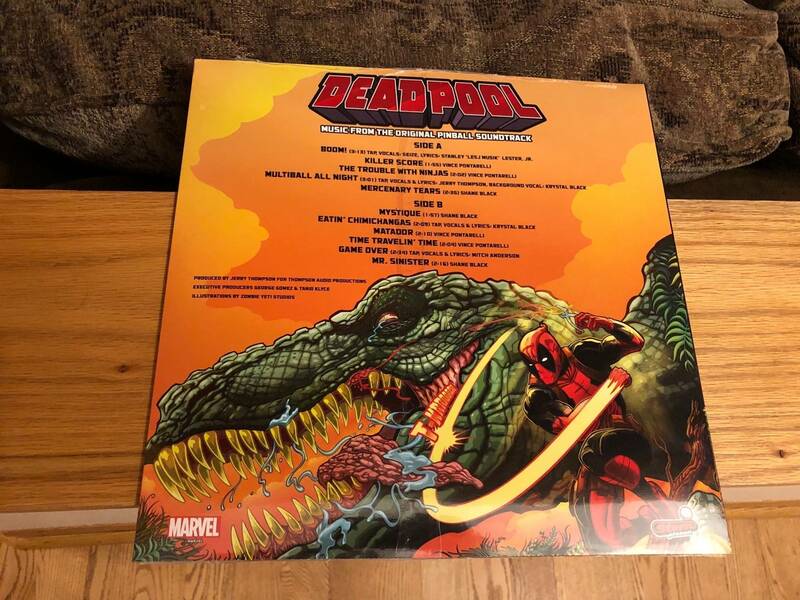 The far left Lil Deadpool drop target sometimes stays down, sometimes stutters and other times works fine. 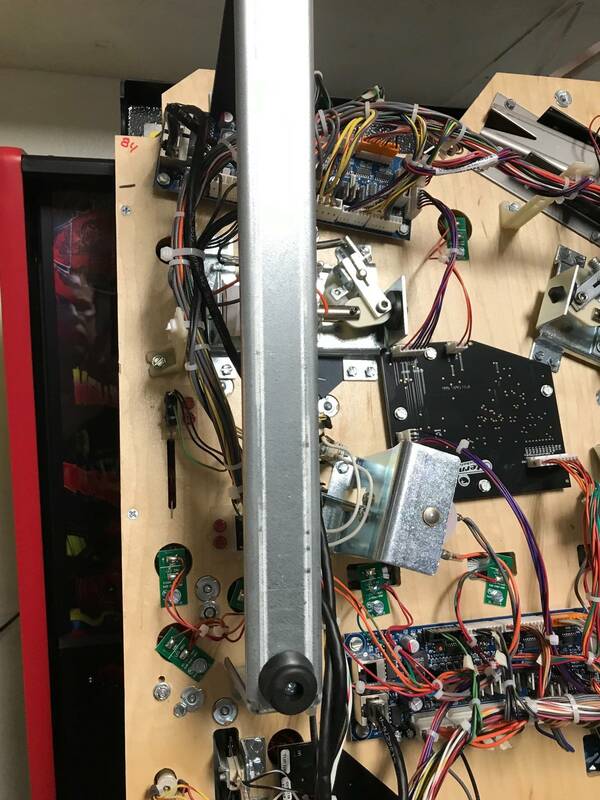 When I look at the mech underneath, everything seems ok, including the springs. Has anyone else had this issue and are there any suggestions? Shaker motor is great on this game. Get one!!! Shaker motor and anti-glare glass arrived today....Now give us that code update!!! At this point if I got a second it would be dialed in. And that, my friend, is how the disease starts!! Welcome to the support group. Not mine. Got a coin taker on max. Volume at 6 when bein quiet and 13 when buddies are over. You can hear the shaker when on 6, but its not startling. Hmmm....maybe my hearing is going? I have mine on 20 when it’s just me playing and 24 when the buddies are over and we have multiple machines going. Love the sounds, music, and callouts on this game so don’t want to miss anything. Anything over 12 here, usually gets me evil looks when i'm playing but others are in the house.. And my stuff is in a distant part of the basement even.. It seems fairly loud even here, I don't think I ever turned any of these much past 15..
Lol. Instead of evil looks I usually get the basement door slammed shut as a sign of annoyance! And the funny part is when my kids are in the car I'm the one usually saying they need to turn down the music (which I think is partially based on volume and partially based on I usually don't like the majority of what they listen to, although they would say the feeling is mutual). You will find a way.. Went out to take a look at my Deadpool on location as I got a message last night that the scoop wasn't registering. 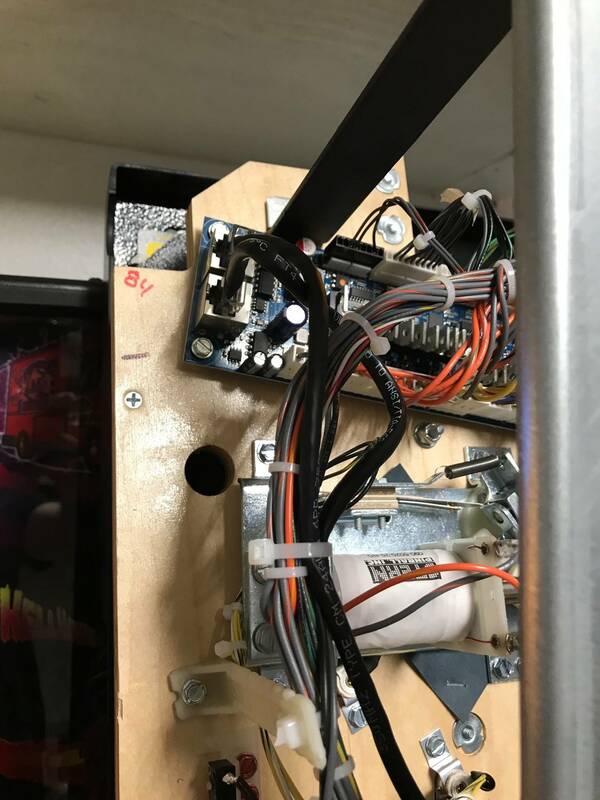 Lifted the playfield and saw a wire broke off the switch. I thought "Cool! I'll just solder that thing back on and get out of here". Ahhhh...NOPE! The entire lug broke off right flush with the switch body. I've never seen something like that. Ever. Especially on a game that I've not even had for 2 months. Luckily I took a spare switch with me that had a flat blade actuator. I was able to bend and cut the actuator to the right shape and length. I did notice those switch legs on that factory switch sure are flimsy compared to the replacement switch. Anyways, it's working fine now. I am hoping in the next code update that they make hits to the blue rubber nubs detectable and worth a ton of points. I would be champion of the world. 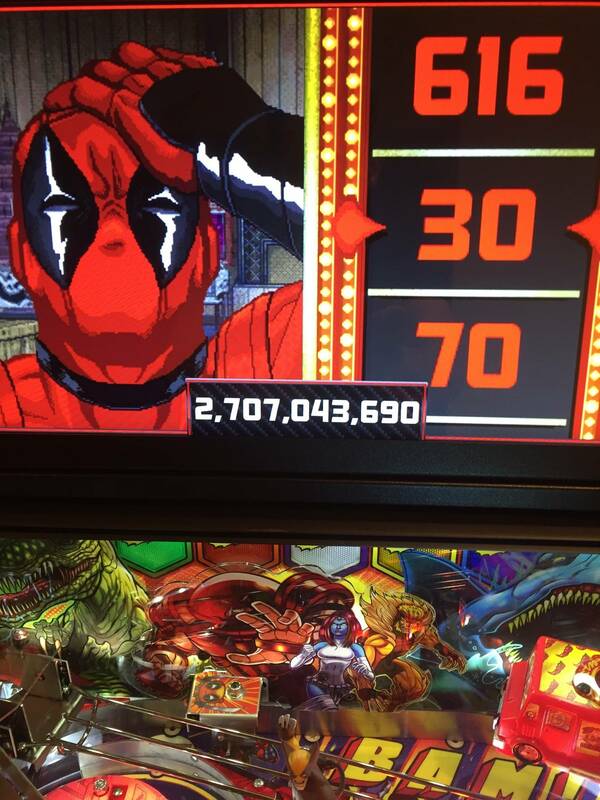 Anyone else have issues with their Deadpool PRO after adding a Disco Ball mod to it? It worked fine for a week or so but then the DISCO light insert stopped working and so did the DISCO ball (I checked in diagnostics and it wasn't registering anymore). Grrrrrr. I would reach out to Lermods I am sure he will help. Might just be a loose connection? - Added support for topper. - Number of Disco spinner spins to light Disco Multiball increased from 50 to 60 spins. - 5 Jackpot shots are lit (L. Orbit, L. Ramp, Center Shot, R. Ramp, R. Orbit). - Collect 5 jackpots to light Super Jackpot at the scoop. - Super Jackpot awards big points and 1 BOOM. - 100, 200, 300 weapons ... - Bump playfield multiplier minimum for the rest of the ball. headphones are in use. Default value is NO (not muted). headphones are in use. Default value is NO (not disabled). 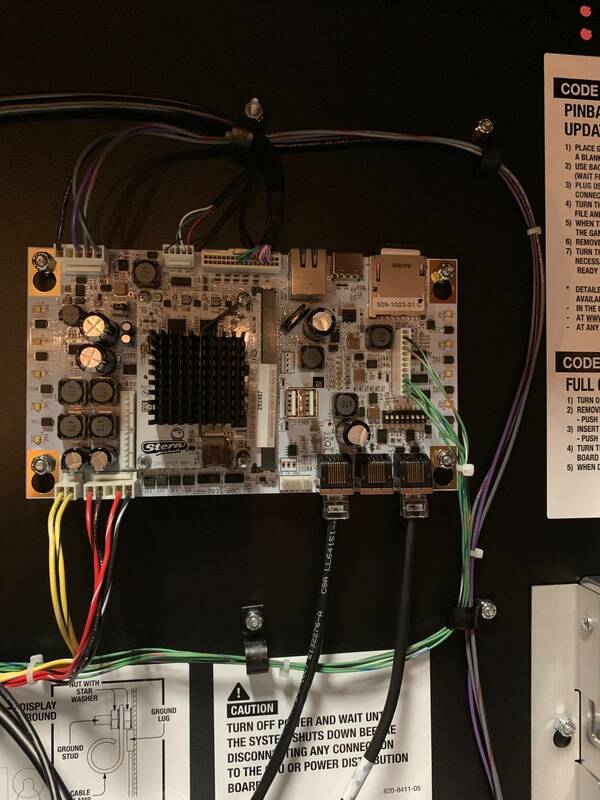 description instead of device address. Well... other than the changes in the Mechsuit multiball jackpots this looks to be mostly adjustments to timing/grace periods/scoring. 0.96 added a bunch of new fun features, but not so this time. 0.97 was bug fixes and 0.98 are these minor enhances. Don't get me wrong, they are definitely appreciated, but I guess this shows how complete the code already is. Personally, I'm still hoping they manage to throw in some cool stuff to wow us when they release 0.99 and 1.00... before they declare the code to be finished. I agree. Does Sinistar mode work? If so, I’d call this pretty much done and only balancing and bug fixes to go. Anxious to see the topper. Hopefully soon!